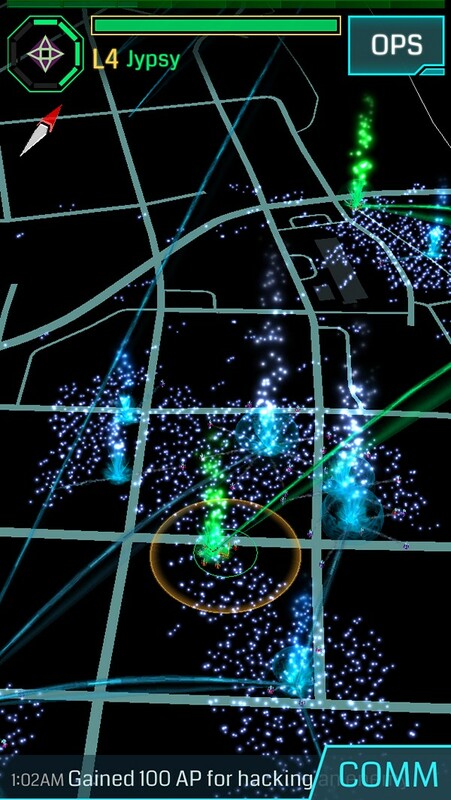 Ingress finally makes its way over from the android world to the iOS universe, and it is simply a blast to play. 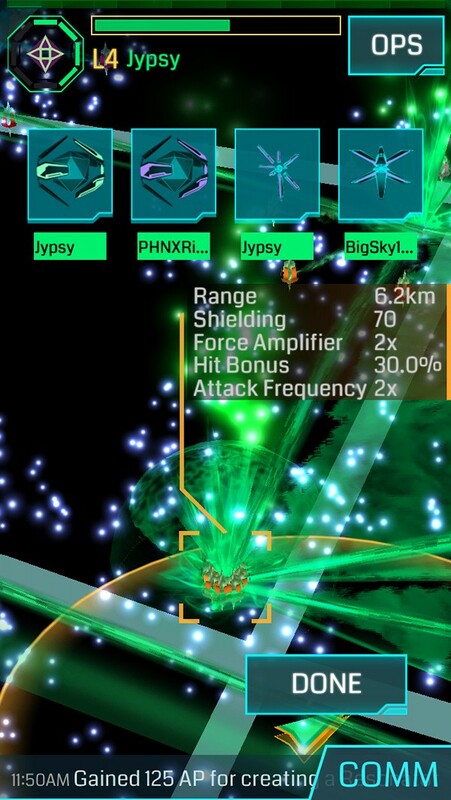 What is Ingress and what is the big deal about it? The game’s surprisingly intricate plot revolves around the discovery of Exotic Matter or XM which has been seeded around the earth by a mysterious unknown named “The Shapers”. You might choose the Resistance who are trying to keep humanity on an old-fashioned path and think that the Shapers will somehow take away free will. The resistance also probably hates puppies and everything awesome. I think I heard them talking about your family members last night. Jerks. On the other hand, The Enlightened realize that this is an opportunity for humanity to be saved from itself and profess we should embrace the Shapers the enlightenment they offer. Really the only logical choice is the Enlightened (Green). I mean come on, they give you free friendship bracelets upon joining. BFF 4 EVER!!! Plus they have bouncy castles at their parties. The blue team pokes dead rodents with sticks. The choice is yours. This secret battle for humanity is waged by each team capturing “portals” which can only be seen through your scanner (cell phone) that are all over the world. Some will be in your town, with the highest concentration typically being in the more urban downtown areas. Portals tend to be landmarks, local businesses, parks, or sculptures. All will be in public places and easily accessible by anyone. All you have to do is get in range (40 meters) of a portal, open up your app, then tap “Hack”. You gain some items which can range from resonators which are used to capture and maintain weakened portals for your team (Green team naturally), to blasters which will damage opposing resonators when used. Hacking and other activities also allow you to gain the game’s equivalent of experience points, Access Points (AP). As you gain Access Points you will be able to use better equipment and be more effective in your attempts to take out the Resistance enemy team. Whenever your faction controls and links 3 portals that connect, a field is created, which is what protects the humans within that field. This gets your faction more MU (Mind Units) which act as a sort of score in the ongoing war. As you delve deeper into the game, you will find that there is a heavier emphasis on working with others on your team. This has led to the creation of Google+ groups and websites helping players get organized to take down areas that otherwise would be continually conquered by the area’s dominant faction. Now a while back there was an exploit that allowed iOS users to run apps that were not available or authorized on the official App store without jailbreaking. This allowed a dedicated team of individuals to create an unofficial port of the then-android only Ingress. The app worked for the most part, and let users do a fair amount of the main gameplay but was very buggy and clunky on some systems. Regardless it was a great fan effort for something that was taking forever to be brought over to iOS. There are still a few things missing from the official iOS version, like the functionality to create and submit new Portals, Passcodes and Recruiting new agents. This doesn’t really hurt the game much, but it is important to mention that there are some features that are not available yet. On paper, this doesn’t sound like much more than the next step of Foursquare and the gamification of walking around your city, but it becomes something special when you play with a couple friends, and discover that others are playing this game which creates a secret world just beneath your own city. I live in a city in the Midwest with about 60,000 people, and the game is extremely active. Control of portals switch frequently and players are very welcoming and willing to meet new participants to help further their faction’s cause. Obviously exercise caution when it comes to meeting anyone via a game, no matter how innocent things seem. Bring a friend or two, and meet up during the day, so you don’t take any unnecessary risks. I have traveled through cities like Milwaukee and Madison and it is incredible to see how dense the portal distribution is in the downtown areas, so you can imagine how major cities become a giant playground instantly for Ingress players local to the area. Is this game for you? If you have concerns about battery life or hate walking, steer clear. If you don’t mind walking around your city and finding areas or landmarks you may have passed by a thousand times, then jump right in. Ingress has to be played to be believed. I have found this to be a great way to get a bit of walking in that I may not have otherwise, and my 6 year old son gets a kick out of the sounds and pretty visuals the app has. Hey I get to play a game, he gets to go for walks through parks. Win/Win! 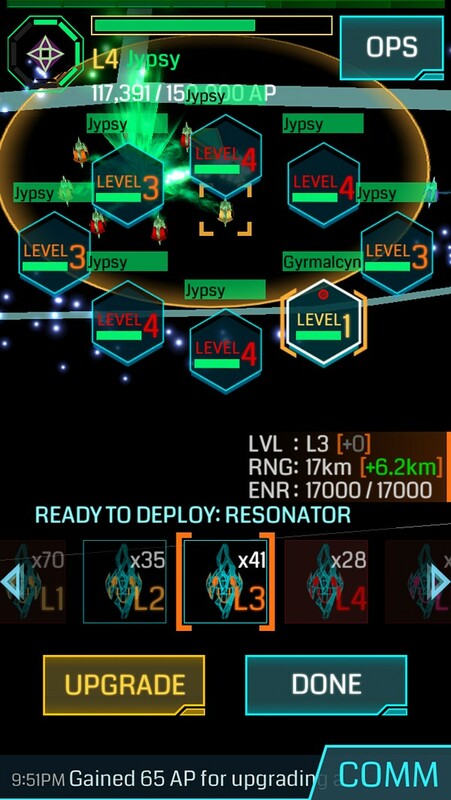 If you are looking for a way to get your significant other or family member into some kind of gaming, tell them about Ingress and you might be surprised at the response. Note: The score is based on the game as it is, even though some features are currently not available to iOS players. Once the game is updated to include the missing features and is updated to be identical to the Android version, the game easily will deserve a 5. You can follow JP on twitter at @Jypsy.